The women sued Cosby in 2014, claiming that he falsely branded them as liars after they accused him of sexual abuse. Comedian-turned-convict Bill Cosby has settled a federal lawsuit with seven women who accused him of defamation after they went public with sexual assault allegations, according to court documents filed Friday. The women sued Cosby in 2014, claiming that he falsely branded them as liars after they accused him of sexual abuse. The following year, the former sitcom star once known as "America's dad" filed a counter-suit alleging that they had defamed his character and intentionally derailed an upcoming television opportunity. The attorney for the women, Joseph Cammarata, said that "each plaintiff is satisfied with the settlement," according to court papers filed in the U.S. District Court in Massachusetts. But a statement posted to Cosby's Twitter and Instagram pages denied he settled "any cases" and said the AIG insurance firm did so without the "knowledge, permission and/or consent of Mr. Cosby." "He is not paying anything to anyone, and he is still pursuing his counterclaims," the statement said. "Cosby vehemently denies the allegations brought against him in these defamation suits and he maintains his innocence," it added. In a separate motion, Cammarata said he expects to file court papers asking a judge to dismiss Cosby's suit. Lawyers for Cosby did not immediately return a request for comment. 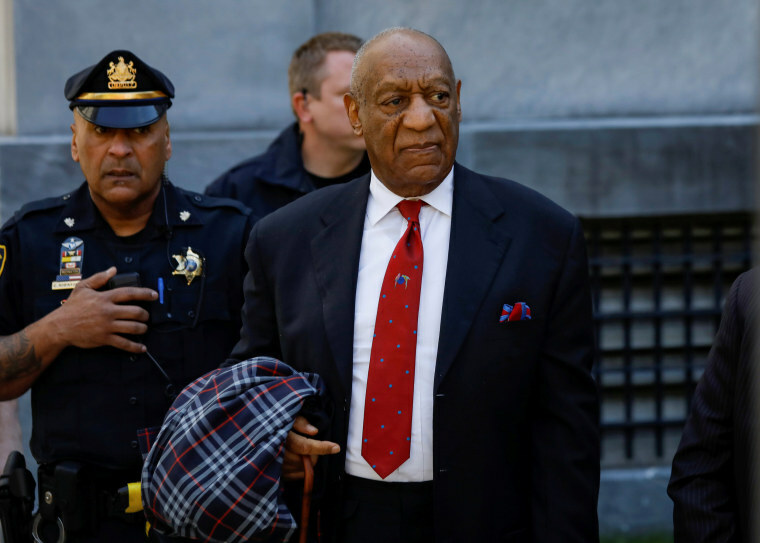 Cosby, 81, was sentenced to three to 10 years in prison last September after he was convicted of drugging and sexually assaulting Andrea Constand. Constand testified that Cosby violated her at his Pennsylvania home in 2004 after she reached out to him for career advice. At the time, Constand was the director of operations for the Temple University women's basketball team. Some 60 women have accused Cosby of assaulting them, but Constand is the only one whose allegations led to criminal charges. The other accusations were too old to prosecute. Cosby, who played the role of lovable father Dr. Cliff Huxtable on the NBC hit "The Cosby Show" from 1984 to 1992, has denied the allegations. In a statement released this past February, Cosby claimed he was a "political prisoner" and compared himself to Martin Luther King Jr., Nelson Mandela and Mahatma Gandhi. "My political beliefs, my actions of trying to humanize all races, genders and religions landed me in this place surrounded by barb wire fencing, a room made of steel and iron," Cosby said in his first statement since his imprisonment four months earlier. "So, I now have a temporary residence that resembles the quarters of some of the greatest political prisoners — Martin Luther King, Jr., Mahatma Gandhi, Nelson Mandela, Randal Robinson and Dr. Benjamin Chavis." Before the defamation case was settled, Cosby's wife Camille answered questions under oath in a deposition that spanned nearly six hours. Cosby's longtime partner provided few answers while undergoing questioning that at times grew contentious, according to a transcript released in May 2016. When asked about honesty and what it means, Camille Cosby answered: "I'm not going to expound on this." When she was told she had to, she answered: "I do not have to. I'm done."